Sometimes a publicity stunt can be a complete train wreck. The hashtag #susanalbumparty that required re-reading a few times, the Air Force One Photoshoot that nearly evacuated Manhattan, and the decision to spice up a production of Henry VIII with a real cannon which inadvertently burned down the Globe Theatre — history is littered with PR events that have gone off the rails. But there is a bizarre history of train-wrecks being the publicity stunt. They started off as a morbid, redneck bonanza back in the 19th century but have, in more modern times, morphed into psuedo-scientific pieces of political theatre. The first, and most notorious, of these staged train crashes was the so-called Crush, Texas wreck of 1896. Masterminded by William George Crush, the marketing manager of the Missouri-Kansas-Texas Railway, the crash was deliberately set up in an attempt to encourage more people to use the railway line. I’m not following the logic of that argument either. But 40,000 people — which is equivalent in size to the capacity crowd at Stamford Bridge stadium — thought it sounded hilarious and turned up to watch the event (pictured at the top of this article). Unfortunately, despite assurances from the mechanics that the collision would be safe, the two boilers of the engines exploded upon impact, killing at least two people and injuring many more. William George Crush, the rail road’s marketing manager, was fired and then quietly re-hired the next day. This tragedy didn’t spell the end of fairs crashing trains as a source of amusement. In fact, quite the reverse: it started it. Nearly 100 deliberate train crashes at events like state fairs were orchestrated between 1896 and 1932 by event promoter “Head-On Joe” Connolly, who specialised in putting on deliberate train crashes all over the midwest.1In 1913 the California State Fair put on their own version of the stunt, and they also used new film technology to capture the event for the first time (see below). The popularity of staged train crashes declined massively during the Great Depression. 1 in 4 adult males were out of work and running expensive trains into each other seemed the teensiest bit wasteful. Aerobatic stunt pilots were the new main attraction at state fairs, and after all cinema could offer more exotic thrills. Thus the train wreck as a form of PR was apparently consigned to history. But an ever so slightly more scientific reason bought the staged train crash back as a bona fide PR event in 1984, to a new audience on the British side of the Atlantic. The United Kingdom transports its spent nuclear fuel around the country by train. The nuclear waste is produced at various nuclear reactors around the country, and is then loaded into special railway carriages which are then hauled to the national nuclear waste disposal facility at Sellafield, which is a kind of state owned environmental disaster-on-sea. A British Rail nuclear waste train. The spent nuclear fuel is in the white container in the middle. In 1984, anti-nuclear sentiment in the country was on a high. 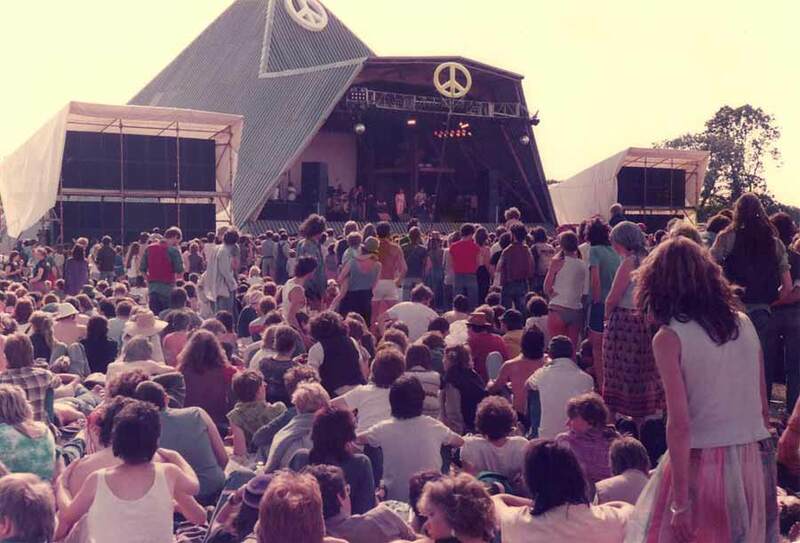 Back then Glastonbury wasn’t a corporate money spinner attended by estate agents from Clapham Junction, but was called the Glastonbury CND festival and had a main stage covered in anti-nuclear banners. On-top of this collective loathing of nuclear energy was the dire safety record on the trains themselves. In the preceding 5 years- from 1978-1984 – 27 people had been killed and 327 people had been injured in accidents and derailments on the British Rail network.2 Authorities decided that they needed to reassure the British public that if a train carrying nuclear waste were to be involved a train crash, no widespread damage could occur. Once the dust settled, lo-and-behold, the nuclear waste container survived. Obviously the organisers already knew it would survive (there are easier ways to test materials than running trains into them), but that wasn’t the point. The public got to see that these containers hold together on the evening news via the time-honoured communications medium of a big thing going bang. The whole BBC news segment is available on YouTube, presented by a surprisingly-not-much-younger-looking John Humphreys. With the integrity of the flask proven, rail transportation of nuclear waste has continued unabated in the UK eversince. One of these trains passes through Central London about once a week,3 and, really weirdly, the company that transports the UKs nuclear waste by rail is so good at their job they’ve now been asked to take over passenger services in the north west of England. This entry was posted in History and tagged British Rail, Crush Texas, Head-on Joe Conelly, Nuclear Flask, Operation Smash Hit, Sellafield on 27th May, 2015 by Matt.